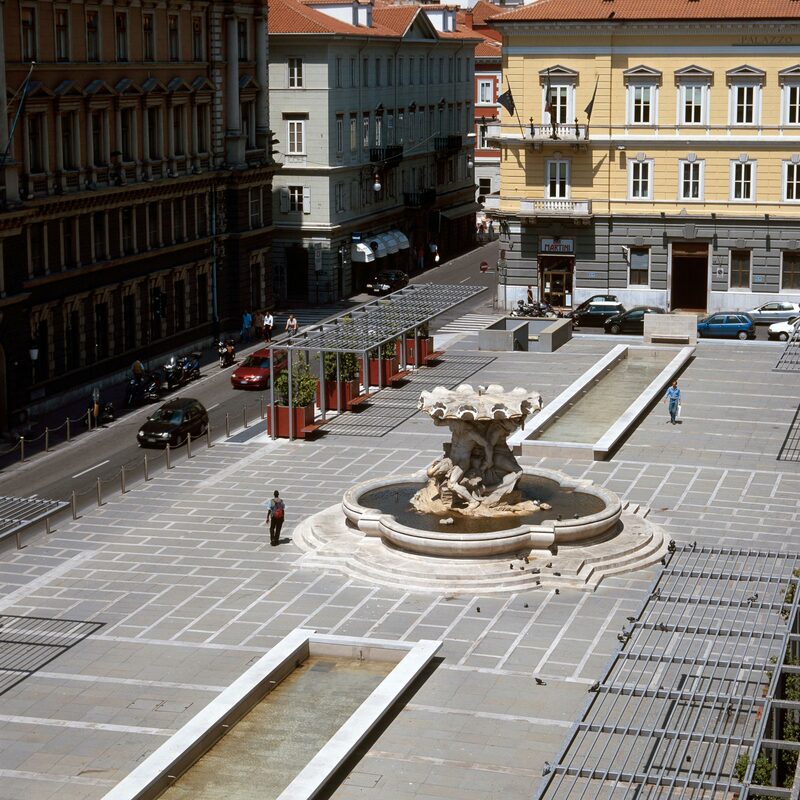 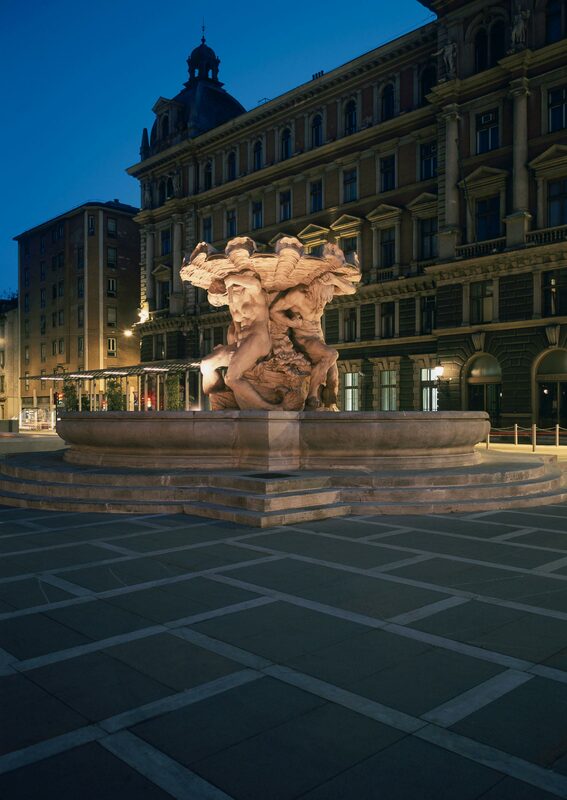 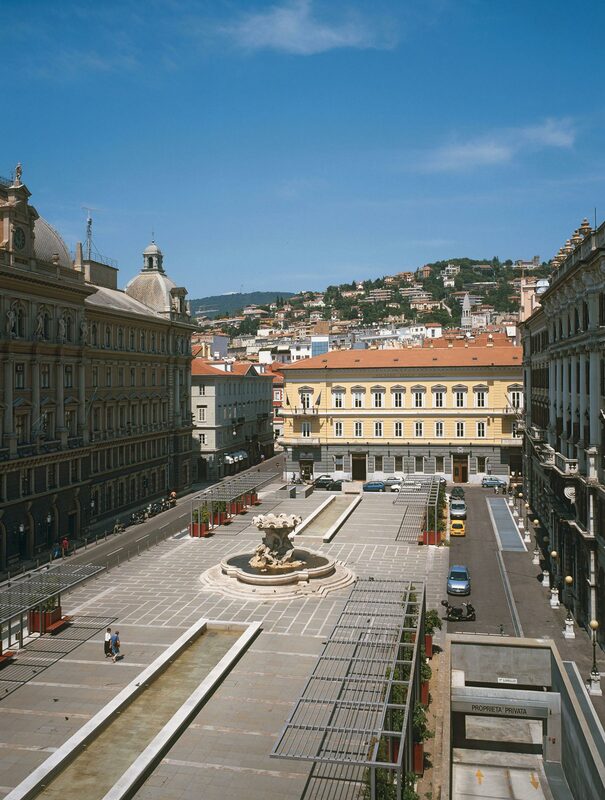 Boris Podrecca has designed in Trieste a project that is full of personality which, as well as seeking to bring the best out of the contents, endeavours to stabilise the new energies stemming from a changed equilibrium. 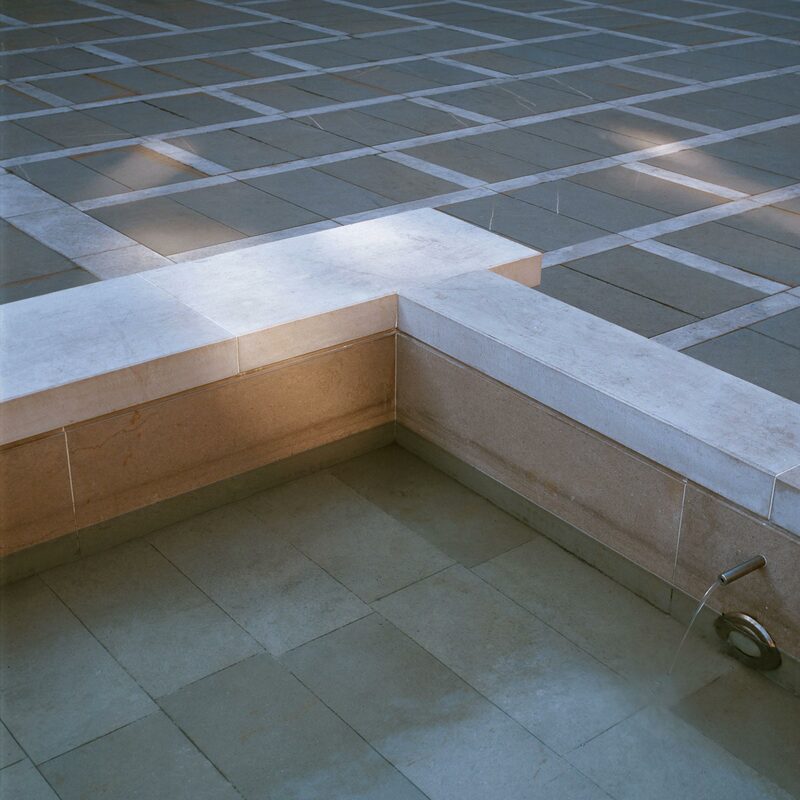 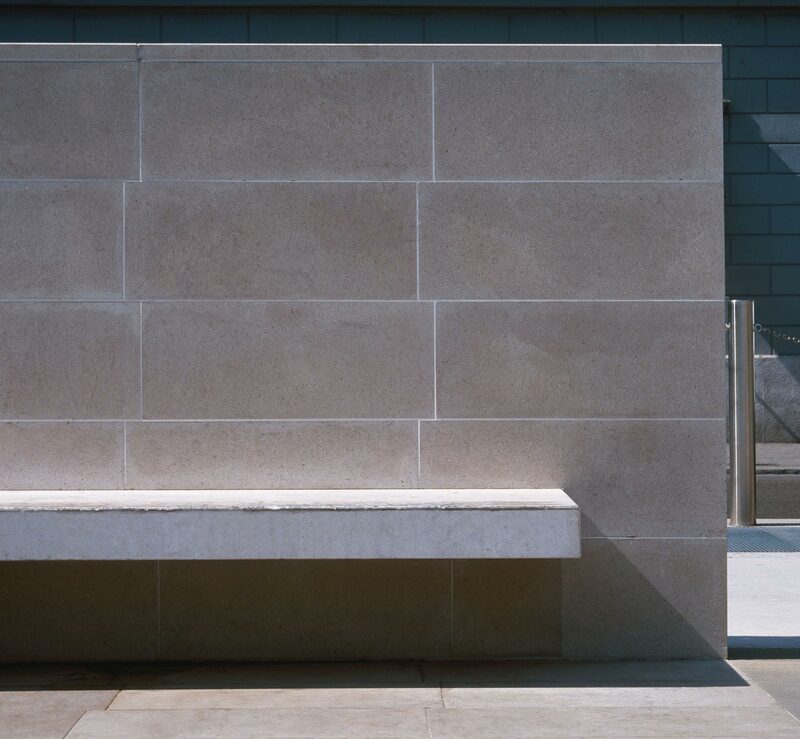 The specific sizing laid down for cutting the sandstone reflects a close connection between the project and what was there before, as is also the case with the material which is deployed following the dynamics of the place and the project. 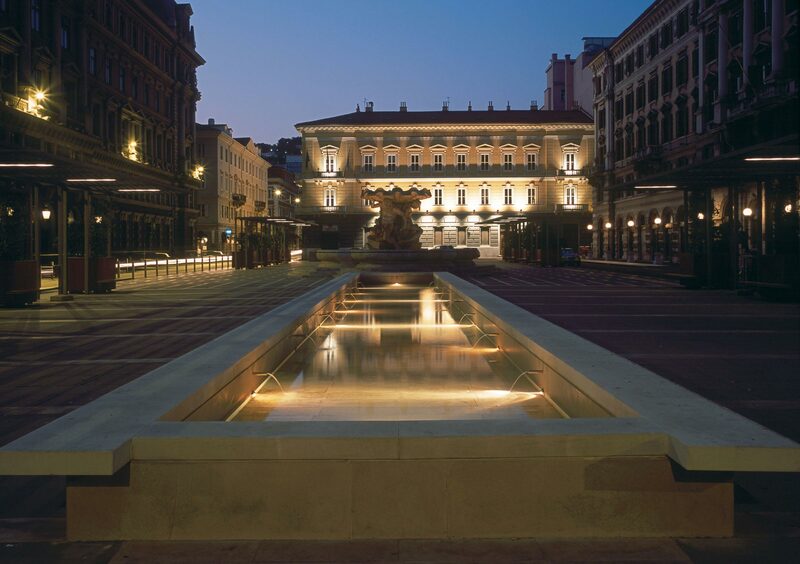 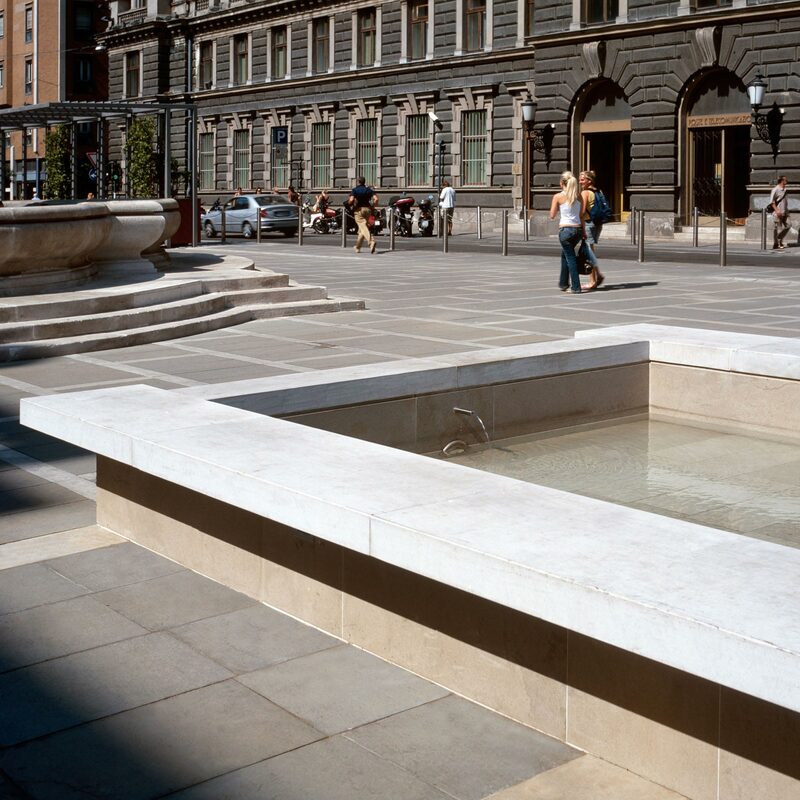 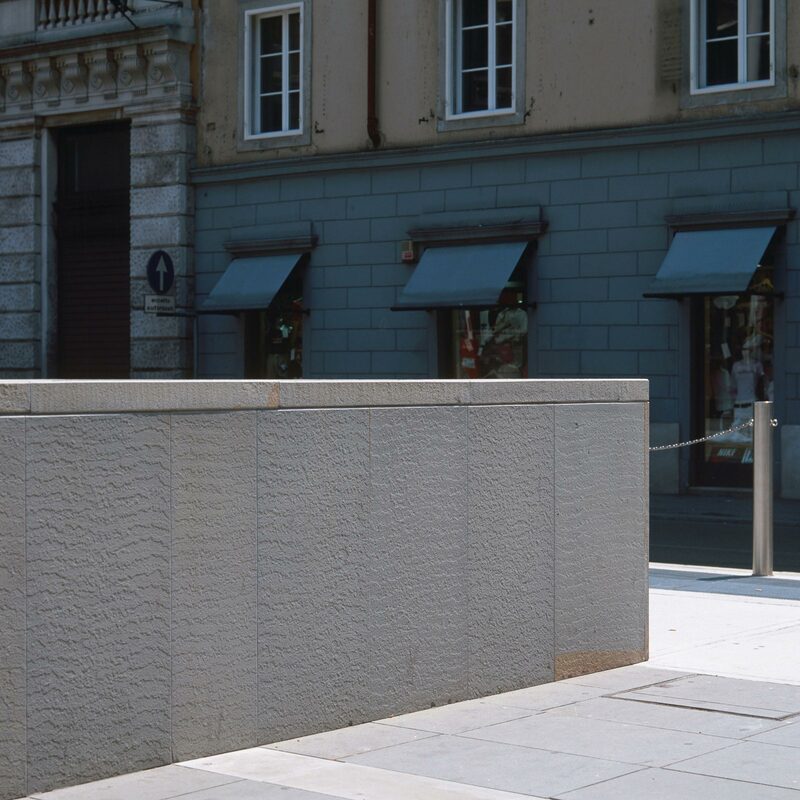 Flame treatment, the presence of water, essential colour choices and the minimum level of intrusion from stone veining add elements of value to perception of the surface. 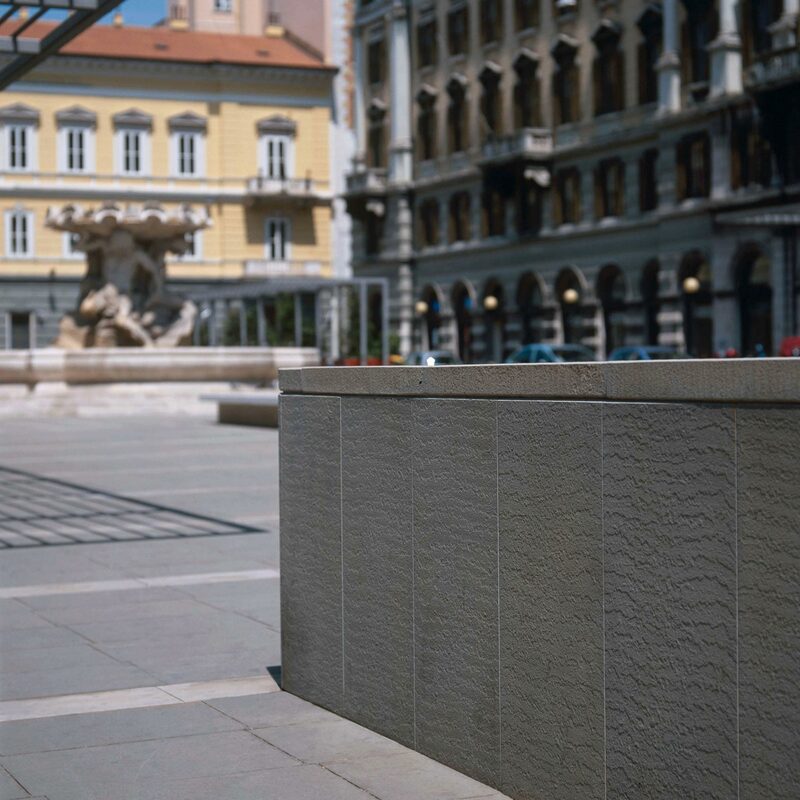 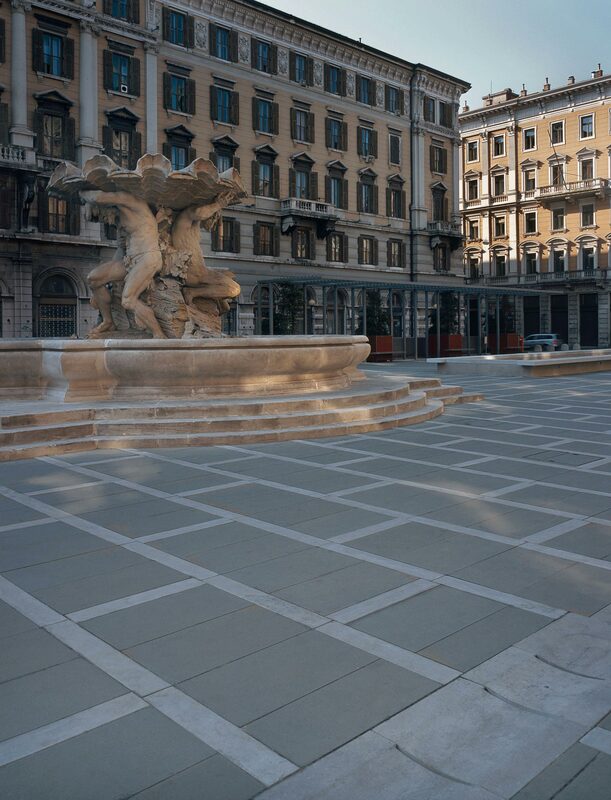 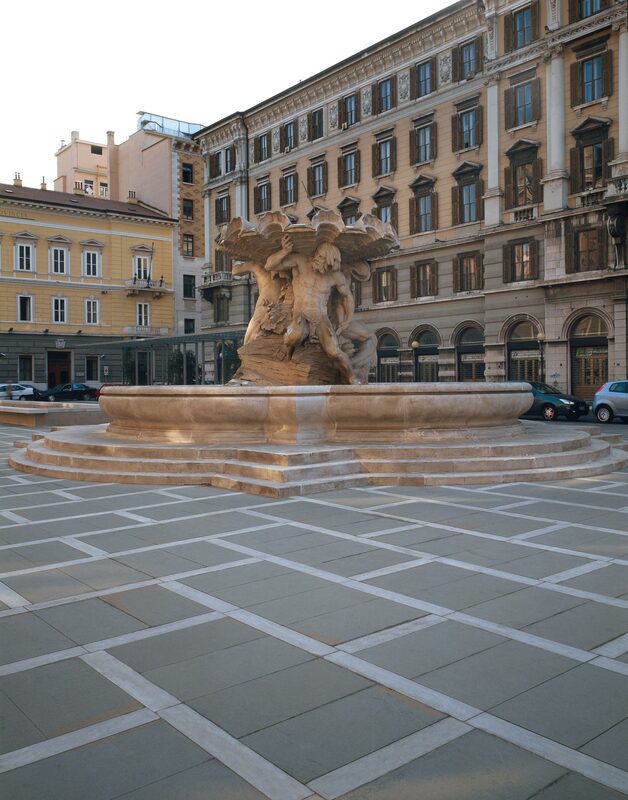 The joints in Aurisina become the stone tiles forming a square lattice, while the monolithic elements in Colombino are magnified against homogenous backgrounds achieved by putting together four identical slabs.